Annie Jaffrey: 5 Health Tips! Good morning angels! Filmed a health video yesterday, talking about 5 ways that you can get healthy starting today. Simple little things that can make such a big difference! I love that you guys are interested in my health videos :) It's such an important part of beauty. Something I didn't mention is to drink as much WATER during the day as possible! 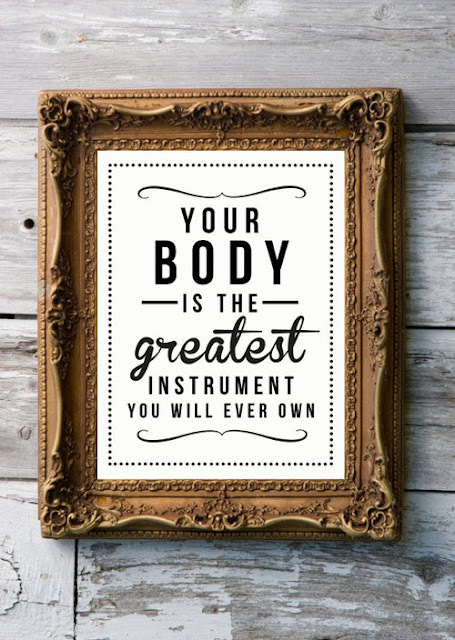 I am sure you guys have heard that before, but it is SO important for beautiful and healthy bodies. Also, when working out and eating healthy, instead of thinking "I'm doing this to be skinny", replace it with "I want to be HEALTHY and FEEL & LOOK amazing". You will get a lot further with a smart and healthy attitude and your results will be much better! Here's a little closer look of the makeup I am wearing in the video. I recently got this loose gold/beige glitter from OCC cosmetics and I love it! I experimented with it yesterday and if you guys like this makeup I can definitely do a video on it. Eyebrows: MAC Brow Pencil "Spiked"
Lips: Tarte Lip Tint "Lively"
You look so glowing and beautiful! Loving the lip and eyeshadow colour!! Great video and thanks for the links but can I ask when will you post your work-out routine? it would help sooo much, really :) I want to be as fit as you so it would be great if cou would post it. You look amazing! You are an inspiration to me and I love all of your video and blog post. PS: sorry if I've made some mistakes but I'm French! Wow, this is my favourite video of yours! I got my juicer in May and juice every single day, it amazing and I feel amazing too! It also means that I get the goodness from foods I would never normally eat like ginger! the video is really motivating and you look gorgeous! Annie do you mind telling me where your shirt is from? Great video! I found it very helpful and I love your eye makeup here! Also, could you do a blog post about ideas or doing things everyday to become confident? I absolutely love your health and fitness videos. It's what has inspired me to get into juicing and to be healthy in general. Not only that but your beauty videos are amazing also. You really take care of yourself and carry yourself well. All your posts and videos keep me inspired to be the best person I can be as they make so much sense and I am not overwhelmed with too much technical information. Anyways, just had to let you know that your tips and advice mean a lot to me, as I really do follow them and try to apply them into my own life, I love love love them, i refer your videos and posts to my friends and thankyouuuu again for being so inspirational. Hi Annie, I just found you and am quite obsessed with you! :) I was wondering what camera you use to film and take pictures because the quality is amazing! It would be great and so kind if you can reply back..please and thank you and stay beautiful! Hi, great article, i love watching your videos, you are very beautiful. I am in the health path almost a year and i have some favorite and very informative pages in the internet which i folow and they are amazing, i suggest you to look up here- www.theearthdiet.org , www.sarahmaevegan.com- this girl sarah, she is, i cant explain what an inspiration had in so many people in the internet, she has youtube viedos, when she is daily filming her transitin to being a raw vegan. Arevik, an armenian girl, but for now livng in Mexio. Try kat von d lock it foundation. It provides amazing coverage at a decent price. Love the make up. Not a fan of the tarte lively lip stain on myself. It is too bright for lighter features. But your review of Yves Saint Rouge lipstick is on point. I splurged and bought #13 Peach Passion. I loved this video, thank you so much! You work so inspiring and you are just beautiful!! If I were a guy, I would know what to do, haha! Lol! Can you maybe do another "healthy food"-recipe video but one without bread for days I run out of inspiration? Thank you for this video! You are an inspiring person. Annie, your a huge inspiration to me! Honestly, if I don't want to eat something that I don't like or feel to lazy to exercise I say "Annie, would not be lazy" or "Annie would approve":P I used to go to Starbucks and get the "Passion tea Apple Juice" drink, or the one with Lemonade, but realized that its probably full of sugar! So, what I do is make my own homemade kind sugarless! I use "Raspberry Passion fruit Green tea, and mix that with 100% pure sugar free apple juice. Recently, I purchased a new kind tea to try with my new sugar-free drink, its Pomegranate tea (which is a super fruit)and let me tell you it delicious! If you are looking for a new very healthy drink Annie, I suggest you try this out! Everyone, who is reading this should try it as well! You'll love it! Also I was NEVER a tea drinker before, bcuz I never liked tea, but this drink is AMAZING! Hi Annie! I just wanted to tell you that you're a very inspirational person and I love your videos especially those about health & diet. Greetings from Poland (Europe)! Confidence is beauty and I believe if you look good you'll feel good. Has anyone used cinnamon supplements http://www.regenerativenutrition.com/cinnamon-cinnamomum-verum--p-176.asp to help improve skin condition? Good article about health tips. I love your video it’s really helpful to keep us healthy and your makeup looks really gorgeous. i love you , your such an inspiration! That makeup is brilliant, after seeing that I had a question. I want to know are you a model? I highly accept your routine of makeup, you look so bright in the video. This is a great blog with excellent posts and links. I wanna say thanks to admin very much. Your beautiful Annie, thanks for sharing your web blog. Really for your health tips is very helpful. Good health wanted to us. To keep good health green juice is very helpful to us. It is a great website and nice share. I want to say thank you. Thank you so much for sharing such a valuable article about good health. I really impressed. Nice blog where - Many methods to improve your health are pretty straightforward: to lose weight, eat less and exercise more; to boost your energy, get more sleep; to prevent dehydration, drink more water. Others, however, are totally counterintuitive. The following 12 tips really do work—but they may leave you scratching ..